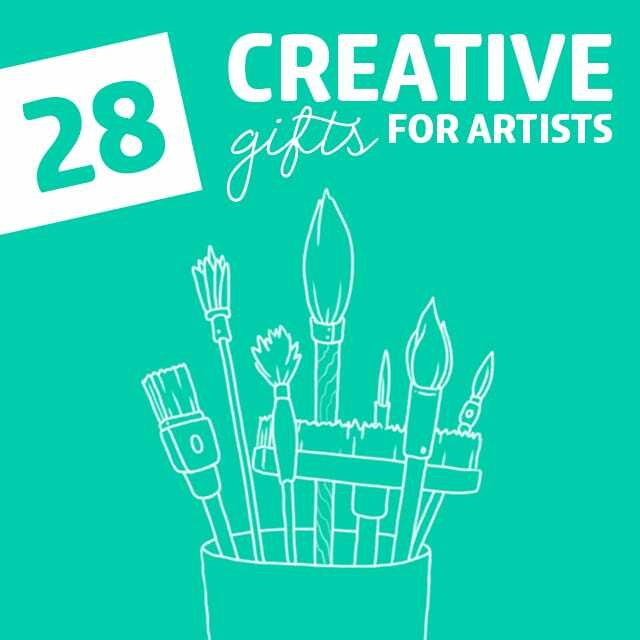 Some of the best gifts for artists will appeal to their artistic and creative nature, or make their job a little more fun or comfortable. Here we’ve selected some of the best gifts to get their creative juices going, or keep them flowing. Inspiration lurks around every corner, even in your own backyard. Get them a guided city tour and they’ll be able to find new landscapes and cityscapes to paint or use as inspiration for a new piece. Perfect if they’re going on a trip, or for the city they live in if they’re new there. 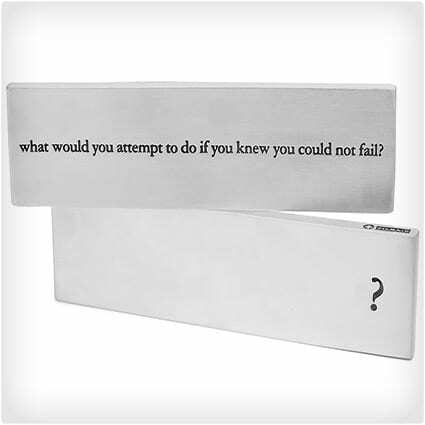 This is the question that every quality artist should ask themselves each day: “What would you attempt if you knew you could not fail?” It will allow them to push the envelope, get out of their comfort zone, and strive to pull out their very best work. This vase has a striking design and is especially apt for the painter in your life. The base of the vase is made up of different sized paint brushes, and a bright shiny chrome look to it, so it will be easily seen on most any desk. 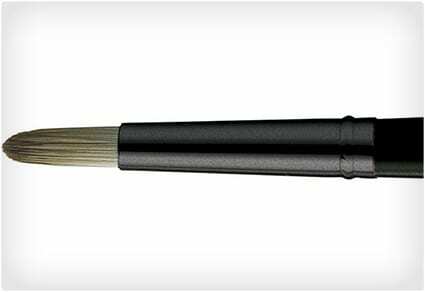 This special brush is actually a stylus that lets an artist add their touch right into a smartphone or tablet. It’s a blending of the old and the new as it gives them a familiar tool in the form of a paintbrush, but a new canvas in the form of a touch screen. They’ll never be short on things to draw when they have this book to help give them ideas. 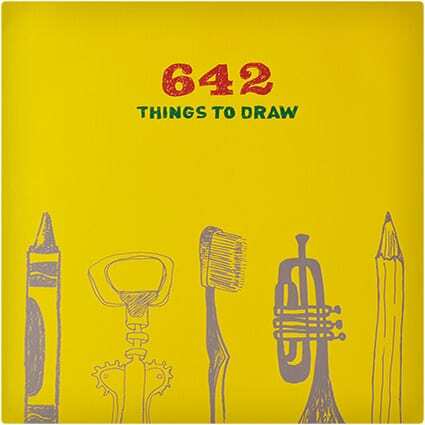 There’s 642 different ideas for things to draw so they’ll always be able to hone their talent and take on bigger and more difficult drawings. Give them a challenge with this expert level coloring book. They’ll have to have some rock solid focus to stay in the lines when there are so many different lines. But the finished pieces come out looking great, and any artist will love a break from having to create from scratch. 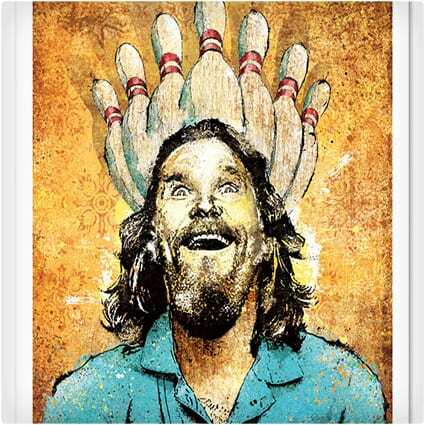 Here’s a large selection of indie prints that will look great on the wall of any artist. The best part is you can combine things you know they like, such as films and TV shows, and cater the artwork to their particular interests. Do you know an artist that likes to display their work on Instagram? If so you can surprise them with these coasters which are made by taking Instagram pics and putting them into coaster form. A practical and eye-catching gift. Get them a wireless mouse that is right in line with the work they do. These mice have special designs to them and are works of art that you get to use while at the computer. Perfect for anyone with an artistic sense of style that loves being different and standing out. These prints are pretty clever, they feature familiar faces but on bodies that are from different periods of time. 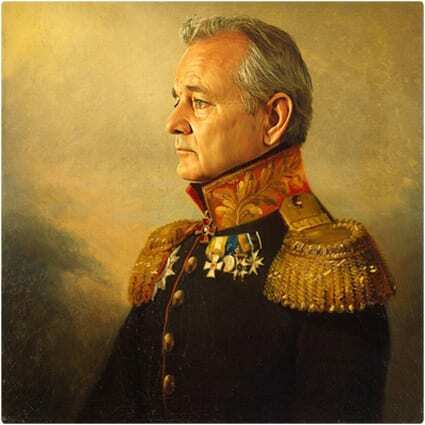 Take for example the face of Billy Murray or Ricky Gervais and place them on a body from colonial times. Here’s a book that shows how to use the city that you live in as the canvas, and make wonderful pieces of art that really stand out. 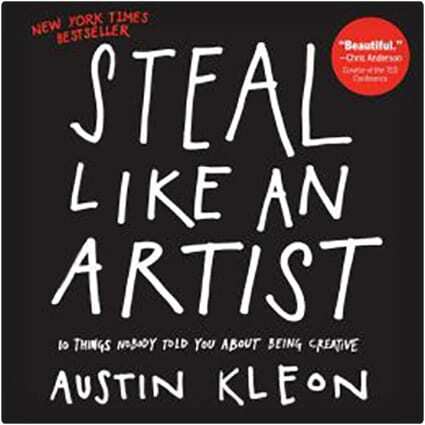 There are many art books out there, but this one really ties things together nicely and is a great book for most artists. Perfect for those who are just learning graphic design or those who are old hands at it, this pen has new technology, meaning it supports 8192 levels of pressure sensitivity so it’ll pick up every little stroke you do. What a way for the artist in your life to fully express your creativity. This painting set contains everything you need to hone your creative skills. 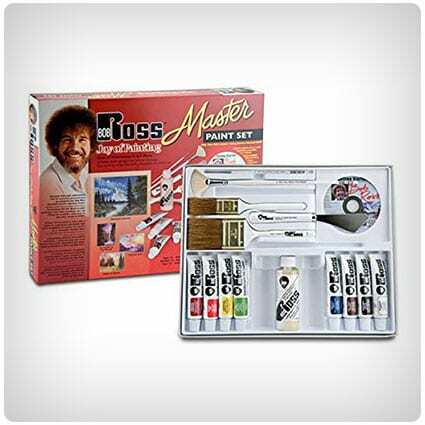 From the inimitable Bob Ross, you’ll receive a 60 minute DVD to get you started, plus eight 37ml tubes of different colored paint and several brushes which all fit into the lovely wooden carry case so you can take it everywhere you go. With three levels of adjustable brightness, this tracing light box is the perfect gift for artists on the go, being super light and portable so you can put it into your bag and set off. It’s powered by USB so you can plug it into many sources wherever you are, and start your next creative picture. 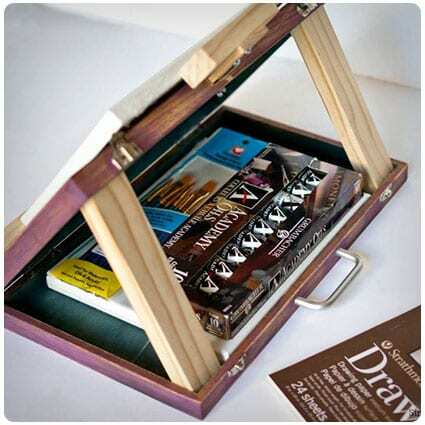 Every artist knows that you need somewhere to keep your art supplies organized so that when inspiration strikes, you know where everything is. Perfect for art studios or any creative space, this storage cart has 12 drawers and lockable wheels so it won’t just roll away when you need it the most. Turn your DIY projects into something personal with this Cricut Explore bundle. The machine is the fastest one they have so it’s now easier than ever to cut through the materials you need for your next creative venture. You can even upload your own images for free via an iPad app, computer or smart device. Getting the right palette for your paints is essential to getting the perfect picture. You don’t want your colors to run into each other but you also want to be able to mix them properly if necessary. This one is made from white plexiglass and cleans easily with water, ready for your next masterpiece. Carrying around art supplies can get heavy. Drawing pads, paints, brushes, palettes or charcoal, whatever your material of choice is, it’s bound to get heavy. This durable backpack is made from a heavy canvas so you know it’ll be able to hold everything you need. 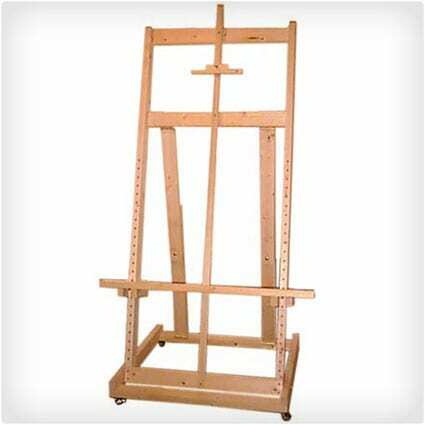 Every art studio needs an easel, it’s key to creating a perfect picture whether you’re painting or drawing. This wooden one is adjustable so you can work on it whether you’re sitting or standing, and the front storage compartment makes it easy for you to get your tools. Perfect for table top work, this beechwood artist gift box has all the space you require to hold everything you need to express your creativity. 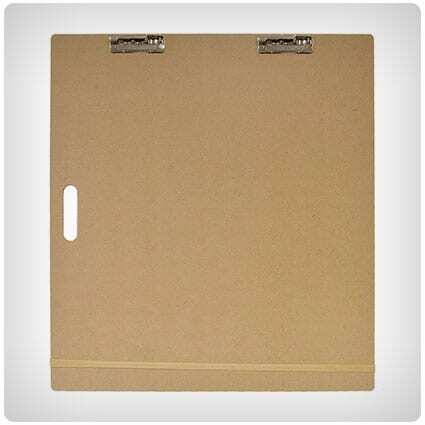 As well as the three drawers it has, there’s also a fold down easel which can hold a canvas as big as 12” x 16”. It’s not all about painting landscapes or drawing bowls of fruit, art can take many forms and calligraphy is one of them. Improve your writing skills with this pen set. It contains 19 different nibs and five types of ink which all come presented in a beautiful box. Keep your creative space clean and tidy with this desk organizer. It has plenty of space – 96 compartments to be exact – for you to store everything you need to create stunning pictures, like brushes, pens and pencils. You’ll wonder how you ever managed to find anything without it. 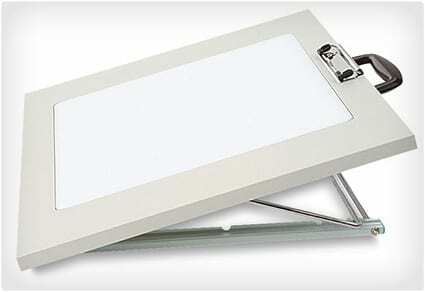 Great for drawing on the go, this sketch board is something you need to have in your kit. It’s lightweight enough for you to pop into your bag along with some pencils, so you can sketch some amazing pictures of the places you’re lucky enough to explore. Pyrography is another amazing form of art, and it’s a great way of adding personal touches to wooden items you buy. 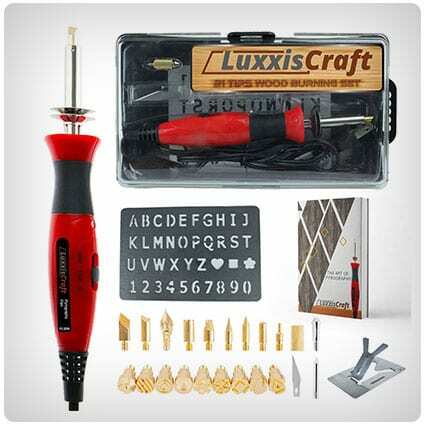 This kit contains 21 pieces, everything you need to become a professional. It doesn’t matter if you’ve never done it before, this set will show you the ropes. Whether you love drawing or you’re a complete novice, this game is so much fun. Set up teams or do it solo; each person takes it in turns to draw cards and read out what it says. Flip the timer and then whoever is the first to complete their drawing wins that card. A regular deck of playing cards does the trick, but if you’re an art lover, you’ll want your deck to be an expression of your interests. With artwork by Yuri Nozdrin adorning the back of every one, these 54 cards are a must have for anyone who loves their art. 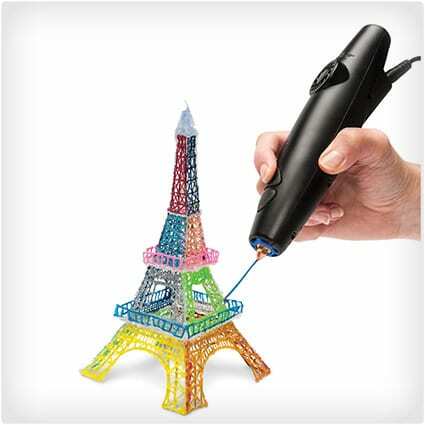 Allow them to take their artistic abilities into the next dimension with this 3D printing pen. They’ll be able to start drawing horizontally, and when they want to they can take things vertical and go where their inspiration takes them. This box set includes everything they’ll need in order to sketch whatever they’re in the mood for. It’s a great way for artists to branch out and try a new medium if they’re already a pro in one area. These brushes not only look good, but they feel good in the hand and will help painters and artists stay with their project longer before tiring out. Artists can use them for a number of projects, including making fine lines as well as broader strokes. 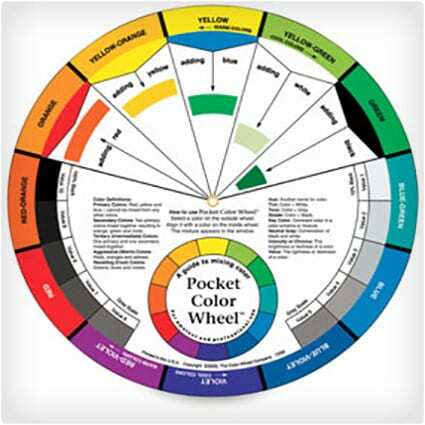 Every artist needs a color wheel by their side, and this one has a few additions to it that will provide a lot of help during a project. It gives information on how to mix colors, as well as which colors harmonize with each other. Sitting for long periods can be very taxing on the body. This stool will allow an artist to work out their core muscles, improving their posture and allowing them to stay more comfortable while working. The ultimate way for an artist to hold their television is with this gunmetal TV easel. It makes an HDTV look like a canvas, and is a striking addition to any room. It holds the TV securely in place, and allows you to adjust it to different heights. 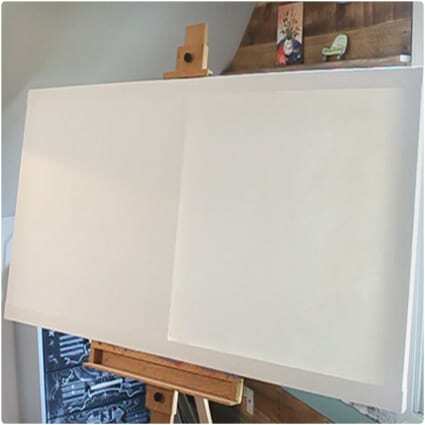 This drawing board will help artists because all they’ll need to do is put a light source under it and they’ll be able to trace anything that’s put on top for drawing, coloring, and sketching later. Make sure they don’t have one already in their workspace. Any artist would love to wear this watch, which features plenty of supplies that are associated with artistry. Check to see if they’re already a watch-wearer, because it could be that they like to work in a timeless environment, or maybe they can wear it when they’re not working. Everyone’s favorite painter guides you through paintings that come out looking beautiful. 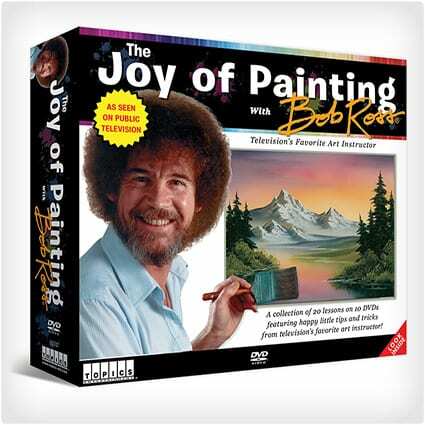 Bob Ross walks you through step by step with his classic demeanor and “happy trees” quotes that put a smile on your face as you paint. Not all artistry requires imagination and originality, some of the most famous artists “borrowed” from what had already been done, and just put their spin on it. In some cases they made it better and turned it into something totally new and what many call original. If they’ve expressed interest in getting into painting, you can help start them off with this beginner’s acrylic paint set. It has everything they’ll need to get started, and provides them with a variety of colors and brushes. No matter what kind of art they’re making, chances are they’ll be using their hands, which can get tired and worn out with excessive use. 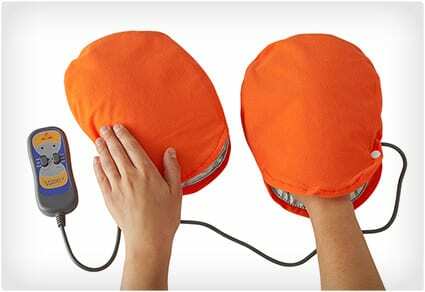 Get them these heated hand vibration massagers and they’ll be able to be more productive more often. 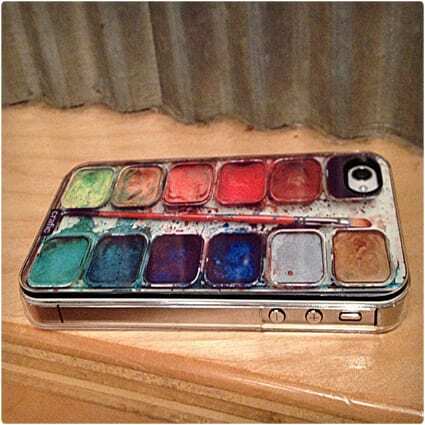 This iPhone case is perfect for an artist because it has a set of watercolors on the back. It immediately identifies the phone user as an artist, and could also be a conversation starter with other artists. 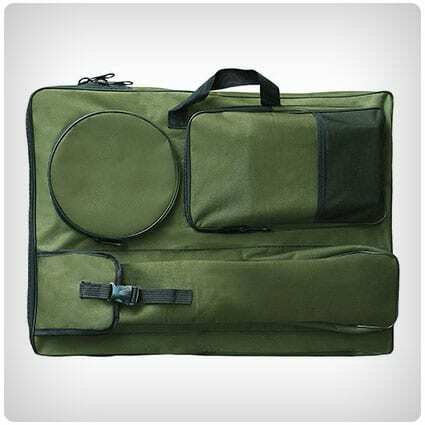 This messenger bag has it all, including space for paints and a special holder for plenty of different brushes. The real beauty is that it holds it all without taking up a lot of space or being hard to carry. Art meets technology with this 3D printer. They’re able to add in their own designs and have a piece printed right in front of them in 3D. This is the direction that artistry is headed, with less and less requirement of a human hand involved in the creative process. 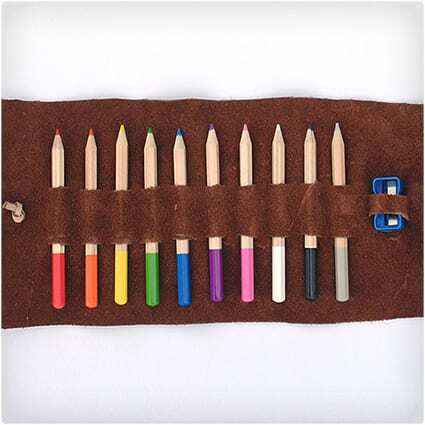 Here’s a leather pencil case that you can make for them to hold all of their colored pencils. Many artists like to work with colored pencils, as they’re able to get the color they want with the ease of using a pencil. Every artist needs a good apron so they don’t get their clothes messy, and this apron is great for both men and women and can be adjusted as needed. 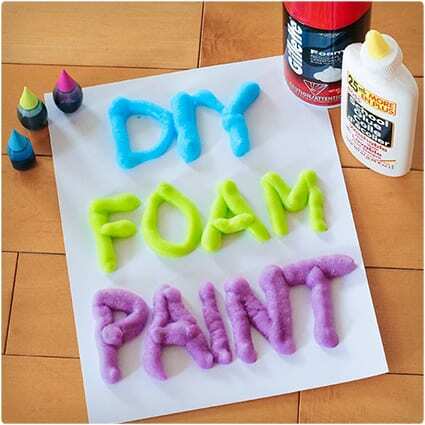 It’s perfect for artists that like to work with paint, clay, or anything else that makes a mess. Artists are always looking for a new medium to work in, and when you provide them with this foaming paint they’ll have a new tool to add a different texture to their work. It’s easy enough to make, but the fact that you took the time to make something from scratch really shines. This is a place for them to store their brushes, and it looks like a mason jar filled with milk. But it’s not, it just looks that way and it’s a great addition to any artist’s workshop or studio. It’s even more perfect when you’ve noticed they need a place to store their brushes. Take ordinary paint brushes and make them so they’re their favorite color with this dipped paint brush tutorial. They’ve used pink in the demonstration, but this is really a way for you to personalize their brushes, or to buy a new set and color them up. Here are the instructions to make them a proper artist easel. If you’ve looked at the different easels out there and priced some of them, you may want to go a different route and get them something that is professional and adjustable and that you made on your own. 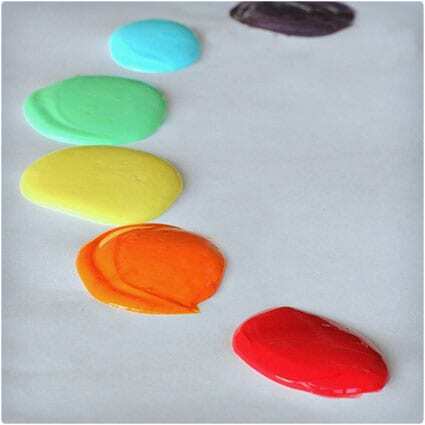 For the future artist in your life make up a batch of this edible scented finger paint and watch them go to town. They can make mini masterpieces and you don’t have to worry if they accidentally end up putting some in their mouth. When they’ve come up with enough art they’re going to need a portfolio to put it in. That’s where you come in with this DIY artist portfolio. It will hold and showcase their work, and also keep it organized so it doesn’t get lost or ruined. 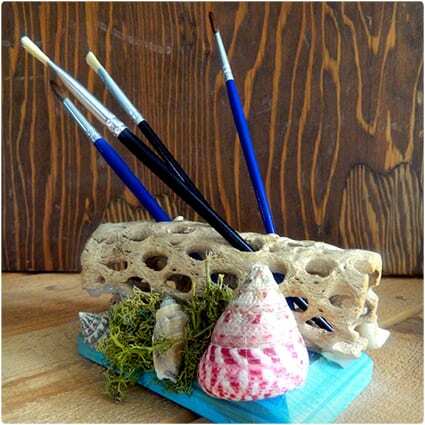 Even though it looks like a piece of driftwood, it’s actually a handy brush holder and will make a positive addition to any artist space. It can hold brushes of different shapes and sizes, and keeps them within easy reach when they’re needed. Sometimes a regular-sized canvas just isn’t enough. That’s when it’s time to go giant-sized with this tutorial. Make them a big canvas and don’t be surprised if they make a giant painting for you on it. Easels are an important piece of any artists’ kit, but they can be bulky to carry and incredibly expensive, too. Take a look at this tutorial to find out how to turn an old wooden case into a portable easel which can also store supplies – you can even let your imagination run wild with the decoration. It doesn’t matter if they’re just starting out on their art journey or whether they’ve been doing it for years, every artist needs a top up on their kit. Use this tutorial as a guide to create one for the creative soul you know; just add some personal touches and they’ll love it. Art can be an expensive hobby; the supplies aren’t cheap and most artists won’t have the money to be able to replace their paintbrushes all the time. Take a look at this blog post and you’ll discover the secret to making those grubby paintbrushes look like new again. 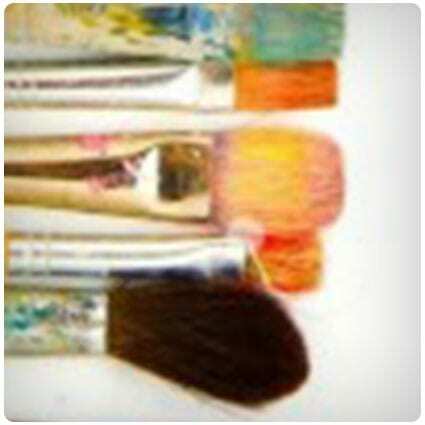 Making sure your brushes are organized in a sensible way is key to you being able to paint in a calm manner. You need to be able to grab the brushes you need when you need them without rummaging around, and this blog post tells you how you can create your very own DIY paint brush holder. If you don’t have a lot of room in your studio, keeping things organized is important. 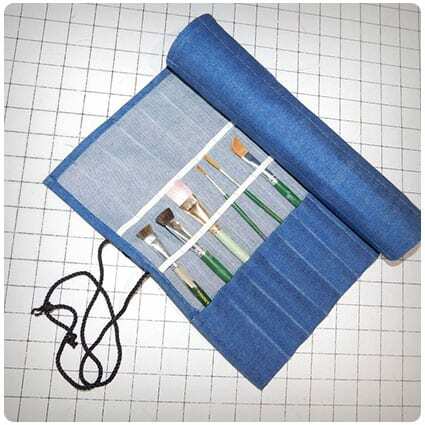 Create a DIY roll up paint brush organizer to keep your brushes altogether in one place. And because it rolls up when you’re not using it, it’s easily stored in a drawer.